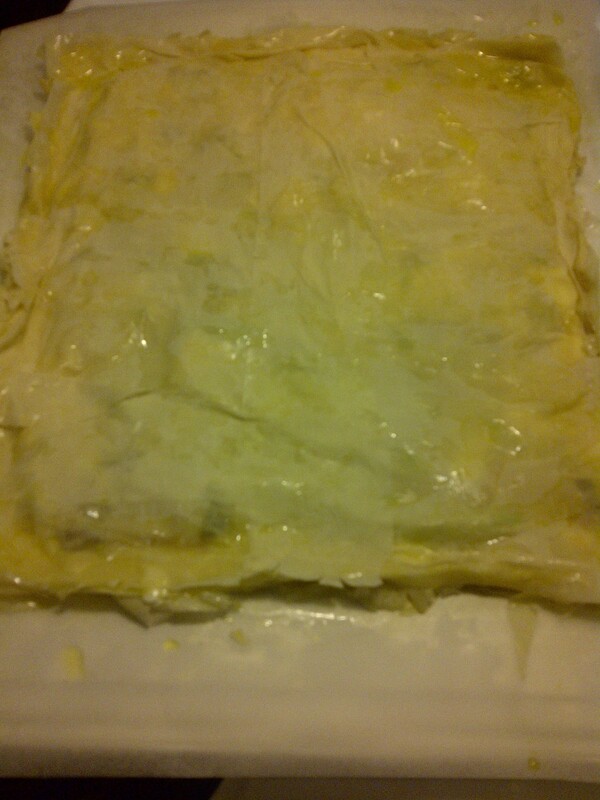 Layer your remaining sheets phyllo over the filling, covering each with a healthy amount of Olive OIl. Mold your edges so that you can have a nice closed pie. Once the pie is ready, cook in your oven for about 25 minutes or until it’s golden brown.